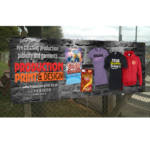 Strong 450gsm polyester reinforced PVC, hemmed and eyeleted – Full colour high resolution 1440dpi print – weatherproof – solvent print. Available in Heights of 1ft, 2ft, 3ft, 4ft. Other sizes available – please call or email for details. 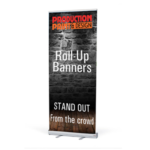 Category: PVC Banners & A-Boards. 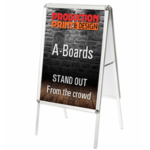 Available in either 800mm or 850mm width.